This Gift Giving Guide for Cooks and Bakers is filled with all of my own personal favorite kitchen gadgets and supplies. I am probably one the few women that really enjoy receiving a gift that helps me in the kitchen because I love to cook and bake. The key to great gift giving is to know your recipient. 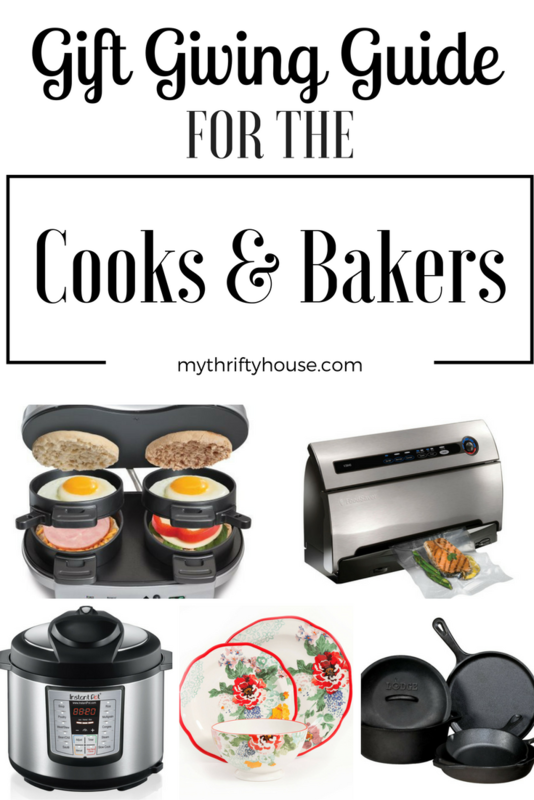 If you know someone that enjoys spending time in the kitchen, loves baking, and they are always trying new recipes this post is full of thoughtful gift giving ideas for the cooks and bakers in your life. This post contains affiliate links which means I earn a small commission if you click and purchase any of the items in this post however, it does not affect the price you pay. You can read my disclosure here. This breakfast sandwich maker literally sits on my kitchen counter year round because it gets used so often. There is no limit to your creativity when it comes to this appliance and you are not limited to just breakfast. I was introduced to cast iron pans over 20 years ago and I haven’t used anything since. I was always under the impression that things would stick and they didn’t cook well which is total opposite of what it’s like to cook with cast iron. Nothing will stick in a well seasoned cast iron pan and the versatility of cooking in them on the stove top or baking in the oven makes cast iron a wise investment. I love investing in cooking appliances and gadgets that have more than one use. I have added the Instant Pot to my wish list because it has 7 uses for 1 appliance. Slow cooker, pressure cooker, rice cooker and so much more that can happen while you are out of the kitchen. Read my list of Instant Pot pros and cons before you make a purchase. Sundays are my day to do menu planning and batch cooking for the week. With the Foodsaver I can cook beyond the week and know that whatever I seal and freeze is going to stay fresh for months. So awesome as a working Mom when I can thaw something from the freezer and have a fresh meal ready at the end of the day with minimal prepping and cooking. Pioneer Woman has released her new line of dishes and accessories and I am in love with the patterns and colors. Aqua and red are my weakness and she has incorporated those colors into everything including her cookbook, measuring cups and kitchen gadgets. This entry was posted in Gift Giving Ideas and tagged gifts, kitchen, shopping. 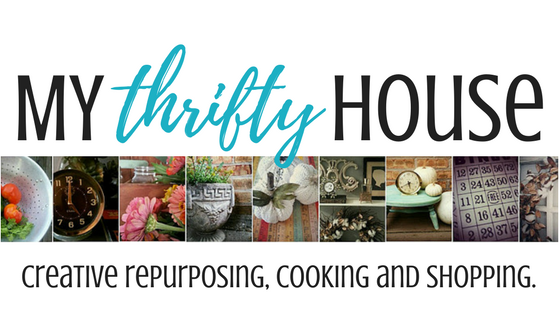 Give me all the Pioneer Woman dishes and assorted companion pieces. It is so pretty!